Welcome to a new world of fitness! 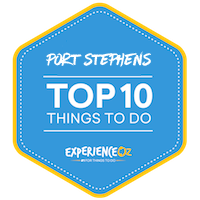 What better place to get fit than outdoors on our amazing waterways of Port Stephens. Surrounded by majestic green hills and white sandy beaches is where we work out. SUP FIT focuses on sprint intervals, power paddling, core and muscle building exercises.It is a whole body work out with out putting any stress on the body! If you have always wanted to try it, come on. Book in today, for your session you will love it!! We run session on Tuesdays & Thursdays and you must book before arriving. Book in for 3 SUP sessions and receive a discount. This is the ultimate way to stay fit and develop a strong core…but you need to be consistent to get real results!